Bustling city life on Stephen Avenue, Walk, 8th Avenue, Calgary, Alberta, Canada, North America. People on Stephen Avenue, Walk, 8th Avenue, Calgary, Alberta, Canada, North America. 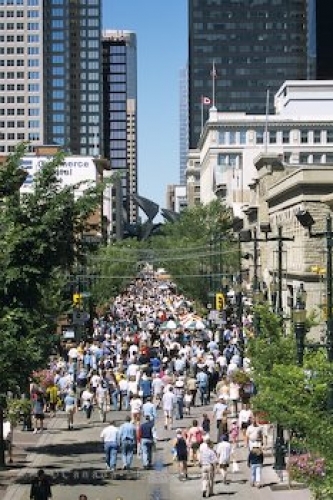 Photo of busy people on Stephen Avenue in Calgary, Alberta.